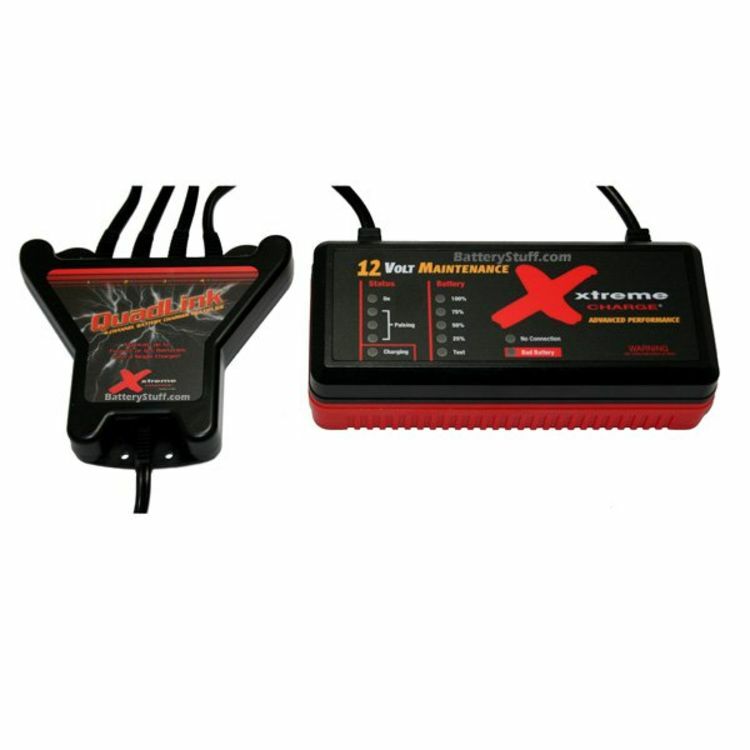 Fully automatic, microprocessor controlled Xtreme charger that will safely charge, desulphate, and maintain your batteries. 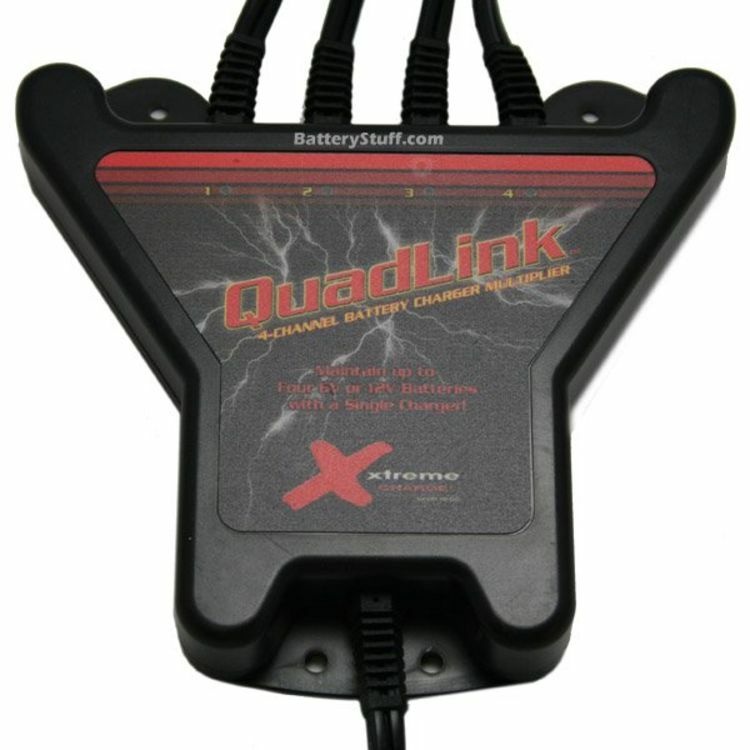 The 4-Station QuadLink Charger Kit includes an Xtreme Charge Battery Charger & Desulfator, a QuadLink multiplier, a 12 V battery tester, (4) 2' battery leads with lugs, a 2' battery lead with clips, (4) 5' extension leads and (2) 25' extension leads - everything needed to maintain FOUR 12 V batteries individually or in 24 V, 36 V and 48 V series configurations. That's a huge savings over buying products individually! The simple plug & play system maintains the batteries sequentially in 10 minute intervals indefinitely without the risk of overcharging. Xtreme Charge Battery Charger by PulseTech. Tests, charges, and desulphates lead acid batteries. 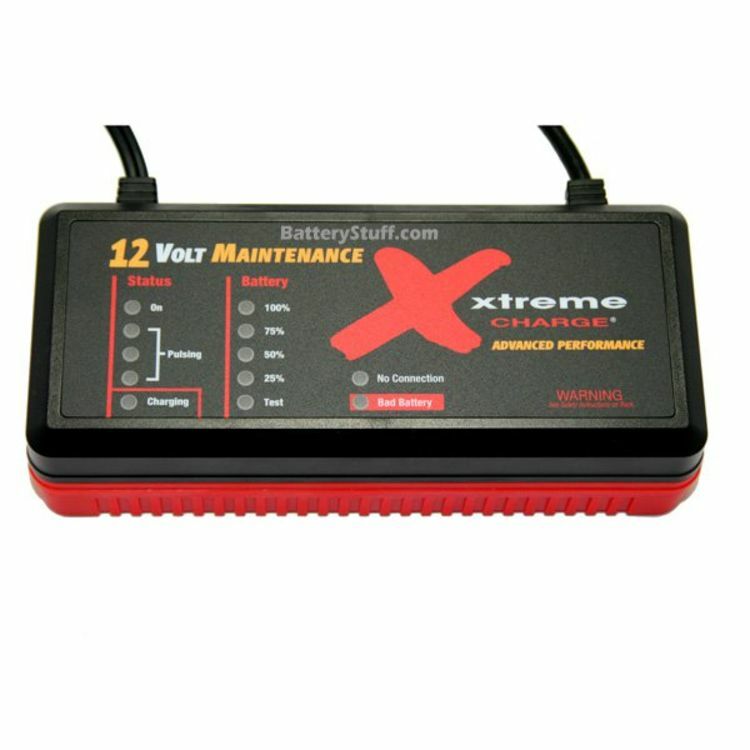 Xtreme Charger is rated at 2.5 amps, but charges as fast as a 5 amp charger. Pulse Tech 12v QuadLink 4-Channel Charger Multiplier automatically split and distribute 10-minute charge segments to each of four charging channels connected to up to four vehicles or battery packs! This means it will charge/desulphate one battery at a time for 10-minutes depending on the battery's need, then switch to the next channel. 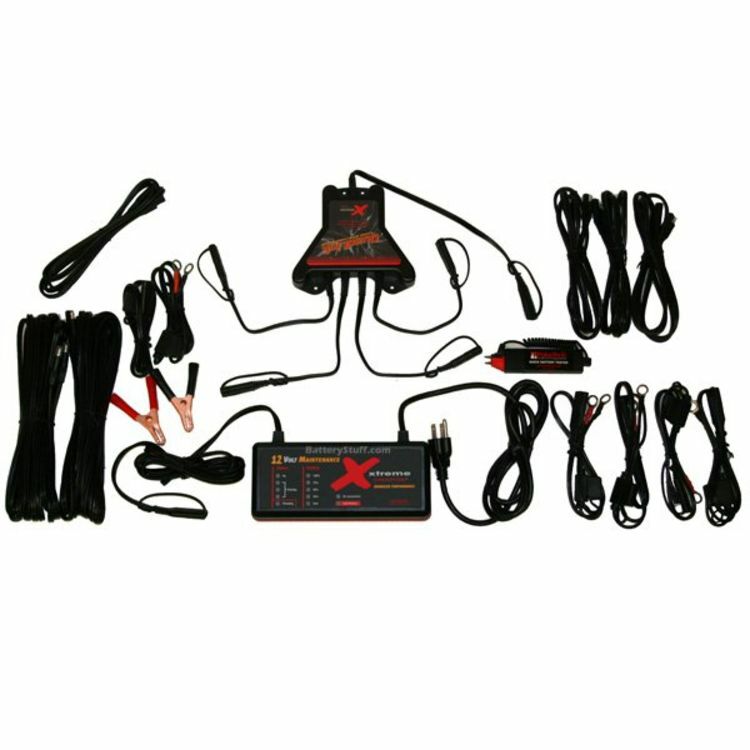 With the Xtreme Charge Battery Charger you can connect one Pulse Tech 12v QuadLink 4-Channel Charger Multiplier and have 4 batteries connected at a time! *Flat Rate shipping is for the lower 48 states only. Do you own the QL4-K1? Please, tell us what you think about it. It helps us provide you with better products. Please note that it may take up to 72 hours for your review to appear.